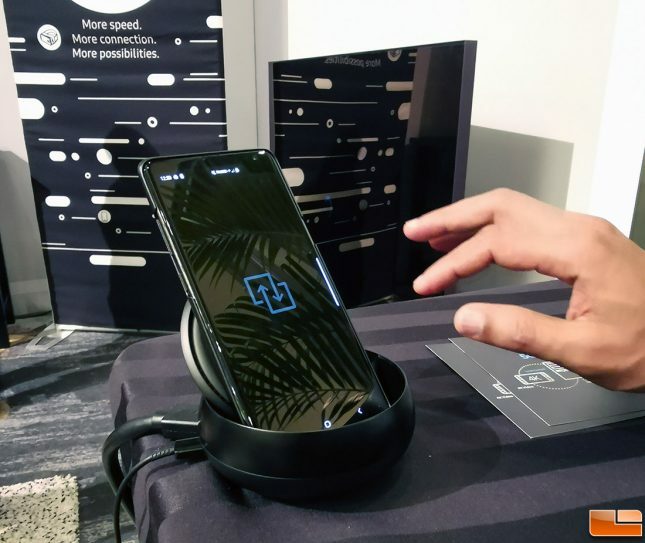 Legit Reviews got a chance to meet with Samsung yesterday at the Qualcomm Snapdragon Tech Summit and was able to check out Samsung’s 5G concept device that was being used for a couple demos. The big demo was the streaming a 4K 60fps video in full quality to a UHD TV that the phone was connected to with an HDMI cable. 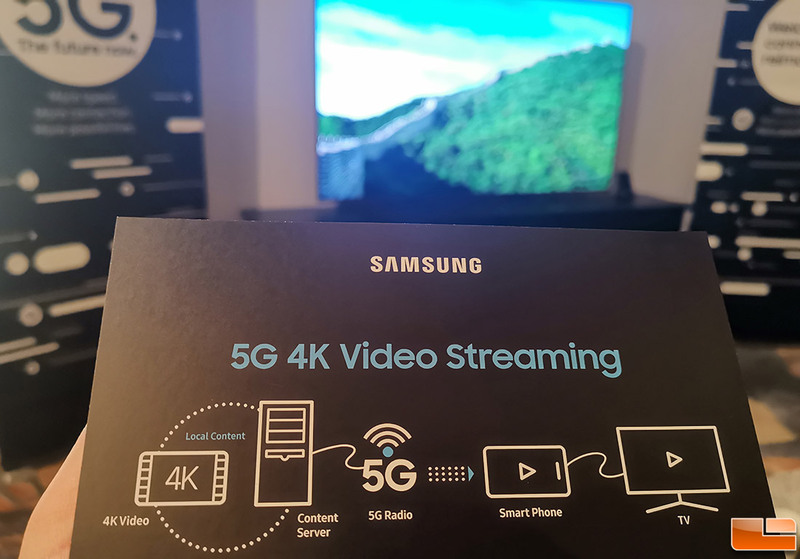 Samsung placed the 5G concept device, which some think might be the Galaxy S10 smartphone, into a DeX Dock Station ($74.99 shipped) and then connected the docks HDMI output to the TV. The dock doesn’t need to be used as other adapters will allow the phone to connect straight to the TV, but the DeX Dock was needed to keep the phone charged. Samsung was unwilling to discuss battery life as this device was not final. 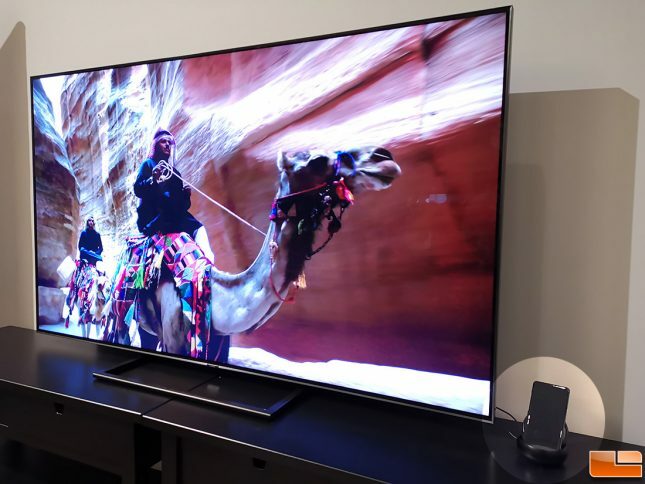 The video playback looked like any 4K content would, but the key here is that it was being transmitted from the local content server over 5G to the 5G enabled smartphone and then to the TV. 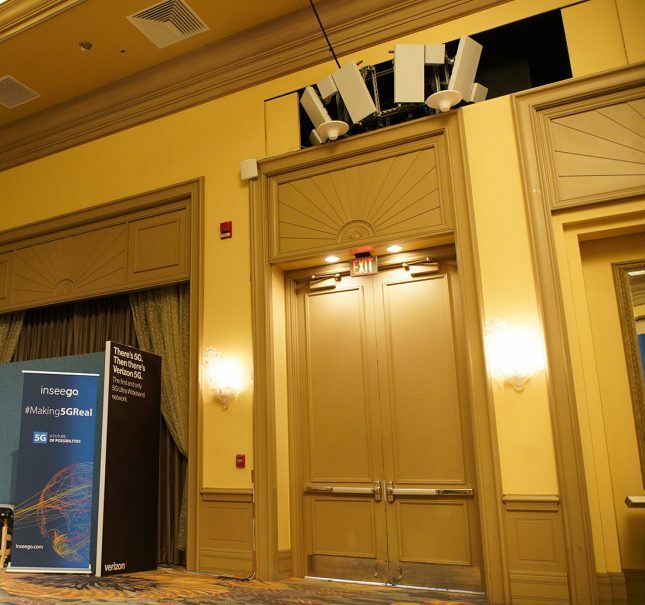 The 5G cell tower was located in the room, so we we literally 20 feet away it during the demo! The other demo that Samsung was showing off was the same phone in a Dex Docking Station and we could take pictures of the ‘5G UWB’ network connection. 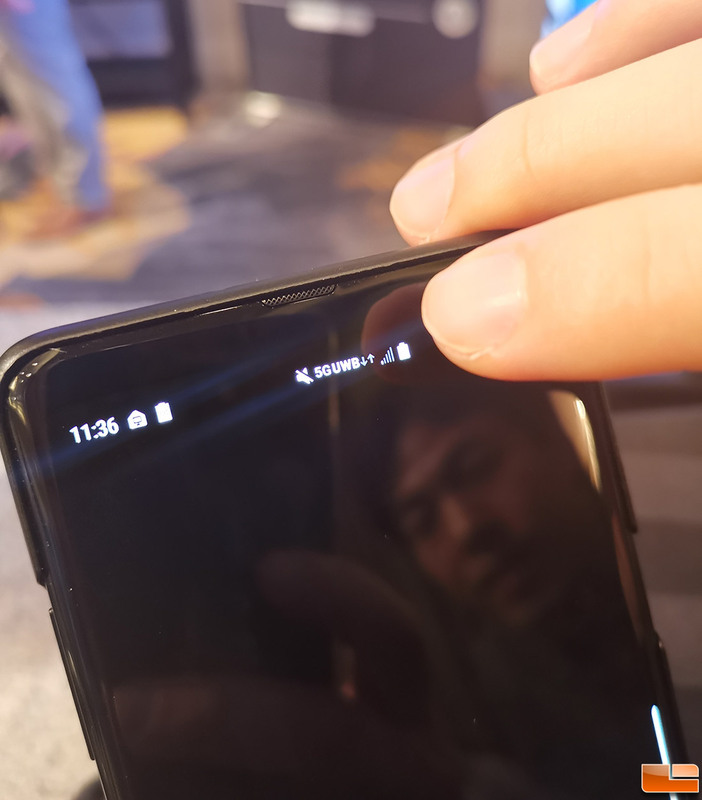 Yes, look at all that ‘5G UWB’ goodness We were not shown anything else on that demo phone as it is still being developed.